NOTES: Register or check registration status with the elections administrator at the Brewster County Courthouse in Alpine, 201 W. Ave E. Early voting and election day voting in the council chambers at City Hall, 100 N. 13th St.
NOTES: Register or check registration status at the Culberson County Courthouse in Van Horn, 300 La Caverna Street. Early voting and election day voting at Van Horn City Hall, 1801 W Broadway Street. NOTES: Register by mail or in person at 1010 E. 8th St., Odessa at the Ector County Elections office. Early voting will be held at the Ector County Court House, 1010 E. 8th St, Odessa. Your Election Day Polling Places can be found here. NOTES: Register to vote or check registration status at the Hudspeth County Courthouse at 109 Millican Street in Sierra Blanca. Early voting and election day voting at the Hudspeth County Underground Water Conservation District, 105 Dodson Street in Dell City. No. 1: Precinct 3 Enrique Fuentes Jr.
NOTES: Register or check registration status at the Pecos County Courthouse Annex in Fort Stockton, 200 S Nelson Street. Early voting and election day voting at Fort Stockton City Hall, 121 W 2nd Street. NOTES: Register to vote or check registration status at the Presidio County Courthouse in Marfa at 300 Highland Street. Early voting and election day voting in Casner Room of City Hall, 113 S. Highland Ave.
Lissa Castro is ineligible to run for Marfa City Council due to residency outside of city limits. Ballots have already been prepared, so Castro’s name will still appear. NOTES: Register to vote or check registration status at the DPS drivers license office on 800 Cassell Street. Early voting and election day voting at Presidio City Hall, 507 O Reilly Street. NOTES: Register or check registration status at the Reeves County Courthouse in Pecos, 100 E 4th Street #101. Early voting at the Pecos Community Center, 506 S. Oak Street. Box 2 & 11 at the Reeves County Civic Center at 1000 Cedar St. Box 1, 3, 7, 8, 10 & 12 at the Pecos Community Center, 508 S. Oak St.
NOTES: To register or check registration status, visit or call Reeves County Courthouse in Pecos, 100 E 4th Street #101. Early voting in the board room at Balmorhea ISD, 608 1st Street. Election day voting at Balmorhea City Hall, 101 S. Main Street. NOTES: Register or check registration status at the Reeves County Courthouse in Pecos. Early voting and election day voting at the Pecos Community Center, 506 S. Oak Street. 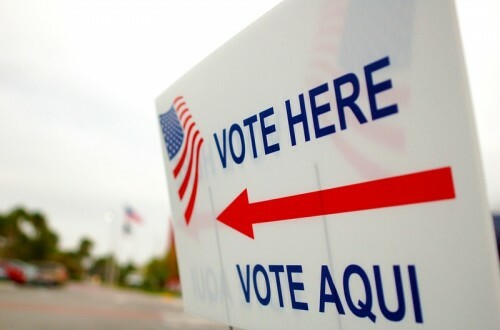 NOTES: Register to vote or check registration status at the Tax Office, Ward County Courthouse, 400 S. Allen, Monahans. Early voting will be held at the Monahans City Hall, 112 W. 2nd St. in Monahans. On election day, voting will be held at Monahans-Wickett-Pyote ISD Administration Bldg. 606 South Betty Ave. in Monahans. NOTES: To register or check registration status, visit the Ward Tax Office at the Ward County Courthouse, 400 S. Allen in Monahans. Early voting will be held at at the Grandfall-Royal School, 115 Ave C, Grandfalls. The school will also be the polling place on election day. NOTES: To register or check registration status, go to Winkler County Courthouse, 100 E Winkler St # 3, in Kermit. Early voting will be held at Wink City Hall, 213 E. Hendricks Rd. in Wink. The new polling place in Wink on election day is the Wink Community Center, 201 N. 3rd St.
NOTES: To register or check registration status, visit the Winkler County Courthouse, 100 E Winkler St # 3 in Kermit. Early voting will be held at the Kermit City Hall, 110 s. Tornillo in Kermit. On election day, the polling place will be at Kermit Junior High, 1001 Tommy Thompson, Kermit. 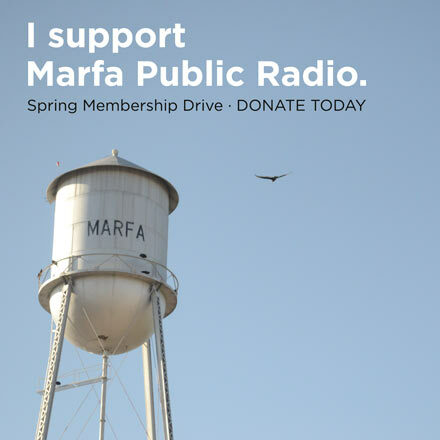 This entry was posted in KRTS News and tagged Alpine City Council, Balmorhea ISD, Ector County, Fort Stockton City Council, Fort Stockton Mayor, Grandfalls-Royalty ISD, Hudspeth County Underground Water Conservation District, Kermit City Council, Marfa City Council, Marfa ISD, Marfa Mayor, May 2019 Elections, Monahans City Council, Monahans-Wickett-Pyote ISD, Pecos City Council, Pecos Mayor, Pecos-Barstow-Toyah ISD, Presidio City Council, Reeves County, Van Horn Aldermen, Van Horn ISD, West Texas Elections, Wink City Council, Wink Mayor. Bookmark the permalink.